Tiger girl has always been fond of Pororo. It is one of her favourite cartoon characters which she watches on Disney Junior on television. 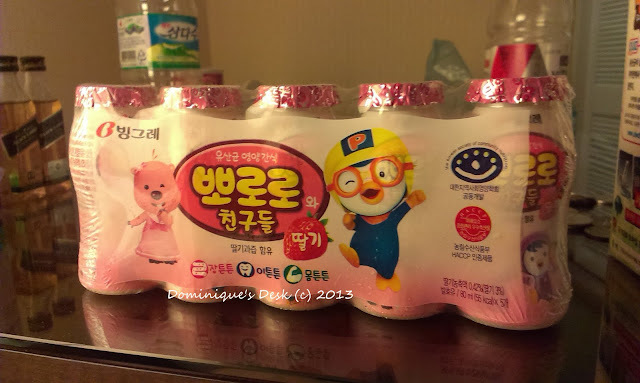 She was thrilled when she saw the picture of Pororo and friends printed on the packet of yakult when we were at the supermarket. The perfect snack with the perfect drink. 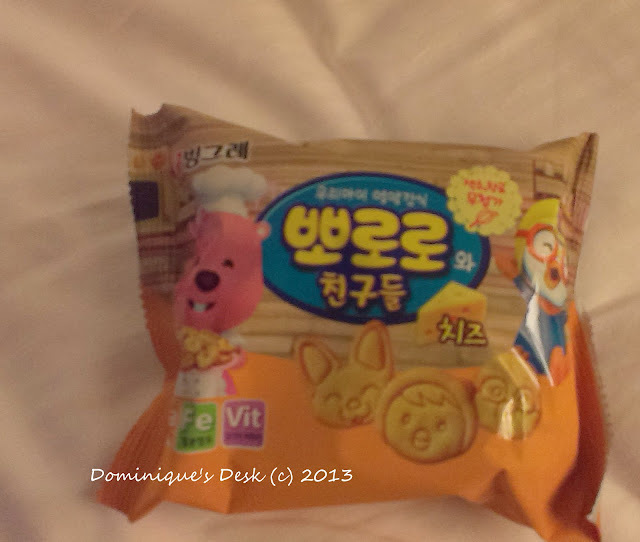 Pororo imprinted cookies with yakult. It made a great after dinner snack. Ice cream is the perfect snack to have anytime of the day. 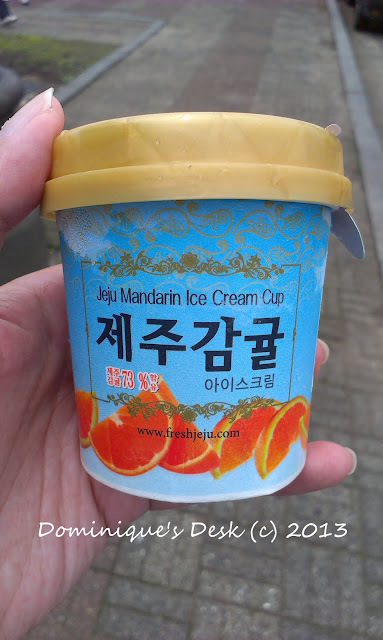 Care for some orange ice-cream? 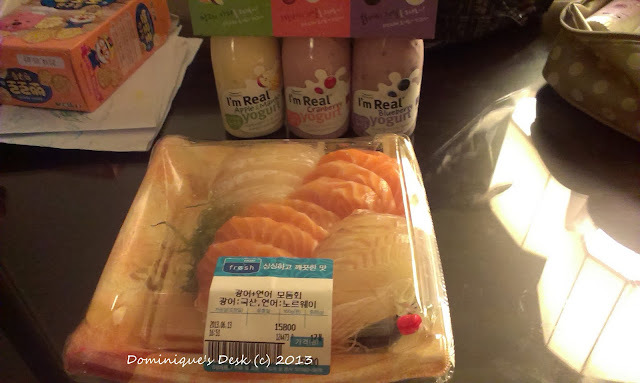 While Tiger girl had her overdose of Pororo R and I feasted on Sashimi and fruity yoghurt drinks. The sashimi was really fresh and half the price compared to the prices in Singapore. There were also flavoured yoghurt which I couldn’t find in Singapore. The one that we bought was a packet of three and had the flavours- blueberry, apple and cranberry. I do hope that we be able to have such flavoured yoghurt in our supermarkets. I would certainly love to continue drinking it here. 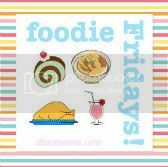 What snacks have you been having lately? Writer’s Workshop: Getting Back on Schedule	Weekend Reflections: Dealing with Delays and Frustrations. Oh my, how cute! My baby likes Pororo, too. Actually, we all like it haha. I wish they had these in the Philippines! I don’t think in terms of “snacks” or “snacking”. Since eating healthy is important to me, I look at what I am eating over the course of a day and week and strive to have whatever I eat, whenever I eat it, fit into what my body needs to be healthy. Thinking in terms of “snacks” can lead to thinking outside the “healthy” box and into the realm of “treats” and “splurging”. It’s so great when you can find snacks for your kids that are actually somewhat healthy, but that they will enjoy anyway! i’m guilty of snacking on junk foods and fast foods most of the time because they’re convenient. i love that you were able to find sashimi that’s fresh and cheaper compared to the usual prices. i wish i knew how to prepare it. aww, i was about to think that the drink looks like yakult when i read it was indeed yakult, hahaha! nice one. right, i hope they have it here in the philippines, too! I want to try the ice cream. I wonder if it’s available in korean store here in our country. love that orange ice cream! It does taste like regular yakult but in a smaller bottle and only 1 choice of flavor. Here in Singapore we have a variety of flavours- apple, grapes, peach etc. i am recently craving fro dried seaweed! 🙂 i wonder how that ice cream taste though? was it like sweet and sour?